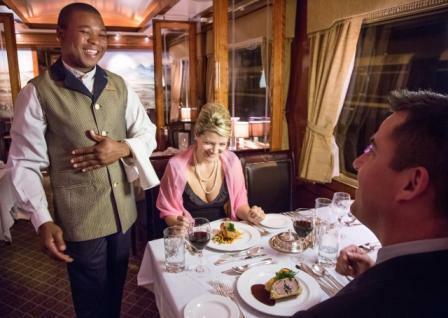 The Blue Train has been the ultimate in luxury rail travel since 1946.It offers a unique way of experiencing some of Southern Africa’s magnificent landscapes and landmarks. 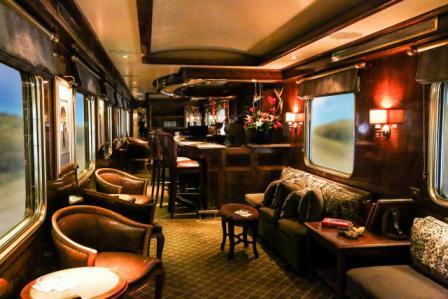 On this train luxury assumes a new dimension. You’ll feel it from the moment you step into your suite – the De Luxe Suite which offers you a choice between twin beds (with shower) or double beds (with bath). 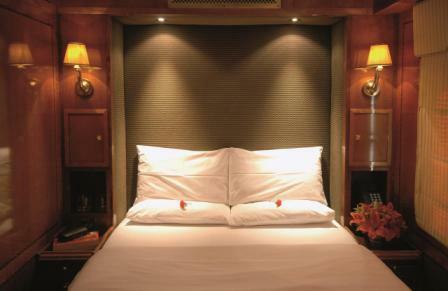 Luxury suites are more spacious and offer twin or double beds with bath facilities. Each suite is a world on its own, with a private entertainment centre with a choice of movie channels and radio stations. 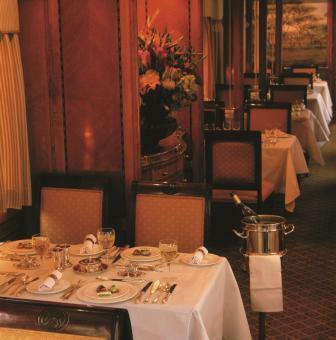 Guests indulge in fine cuisine with personal Butlers at their beck-and-call. 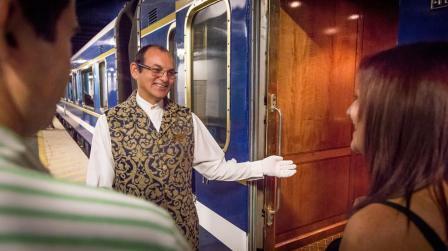 The Blue Train is not just a mode of transport. 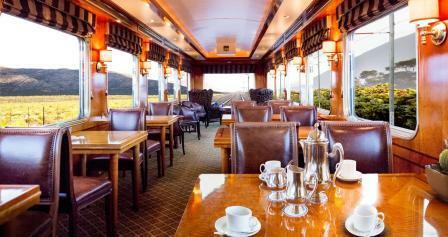 It is an all-inclusive five-star luxury rail experience. 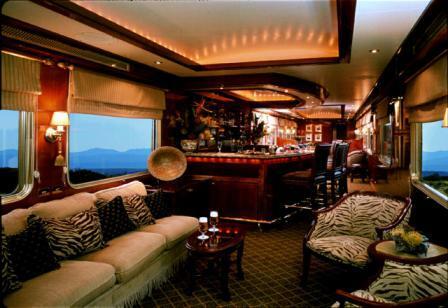 The De Luxe Suites measure 8 m² (4 m x 2 m). 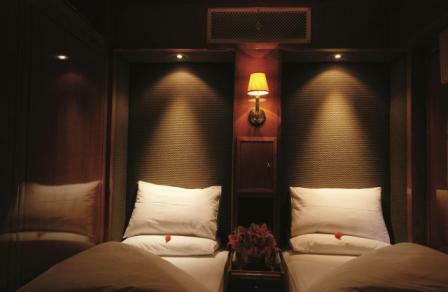 All suites have en-suite bathrooms. 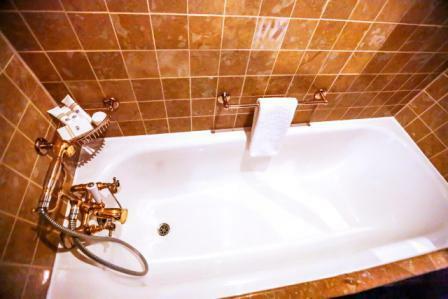 Twin-bedded suites come with showers; Double-bedded suites have ¾ size bath-tubs. 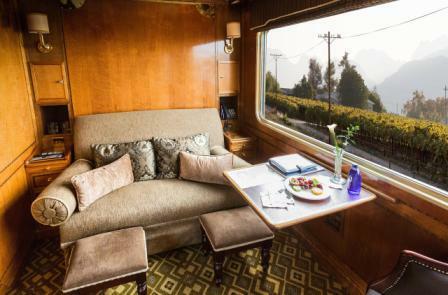 All suites come equipped with a writing desk, ideally positioned next to the window, where you can note the view in style. 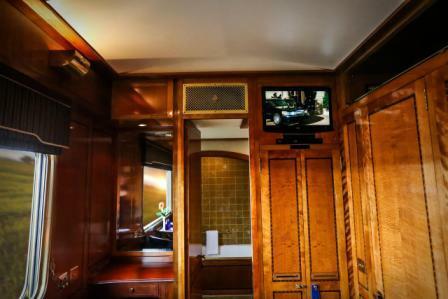 Each suite is a world on its own, with an individually controlled air- conditioning system, under-floor heating, a telephone system (for phoning any area in the world), GPS, TV-monitors with a choice of movie channels and radio stations and free WI-FI. You can also tune into the driver’s eye view camera, and watch the world ahead as you swiftly glide along. Luxury suites are more spacious than De Luxe Suites measuring 10.26 m² (5.13 m x 2 m) and offer twin or double beds with full bath facilities. 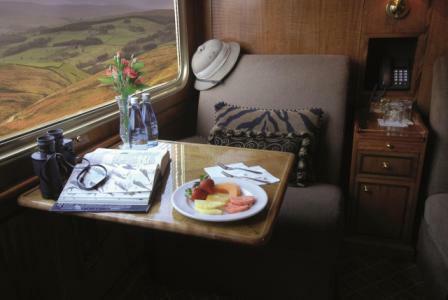 All suites come equipped with a writing desk, ideally positioned next to the window, where you can note the view in style. Each suite is a world on its own, with an individually controlled air- conditioning system, under-floor heating, a telephone system (for phoning any area in the world), GPS, TV-monitors with a choice of movie channels and radio stations and free WI-FI. 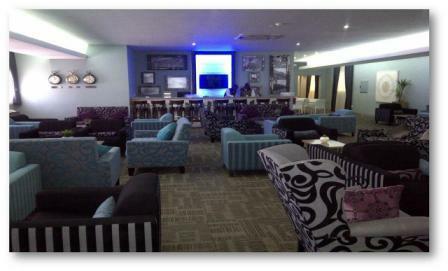 The Luxury Suite takes the choice even further, with an inviting selection of movies on Blue-Ray DVD. You can also tune into the driver’s eye view camera, and watch the world ahead as you swiftly glide along. 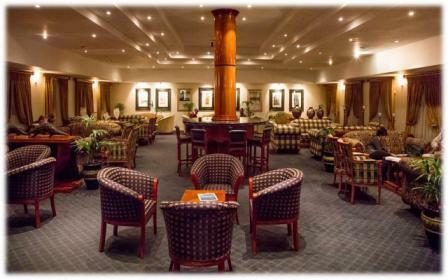 24 Hour security, Bar, Business Centre, Conference Centre, Disability Services, Internet Access, Malaria Free, Mobile Connectivity and Restaurant. Air Conditioning, Clothes Press, Complementary Wi-Fi, Disabled Rooms, Dressing Gowns, En-suite, Internet, Lounge Area, Pure Cotton Linen, Safe, Shower, Tea/Coffee, Television and Under floor Heating.